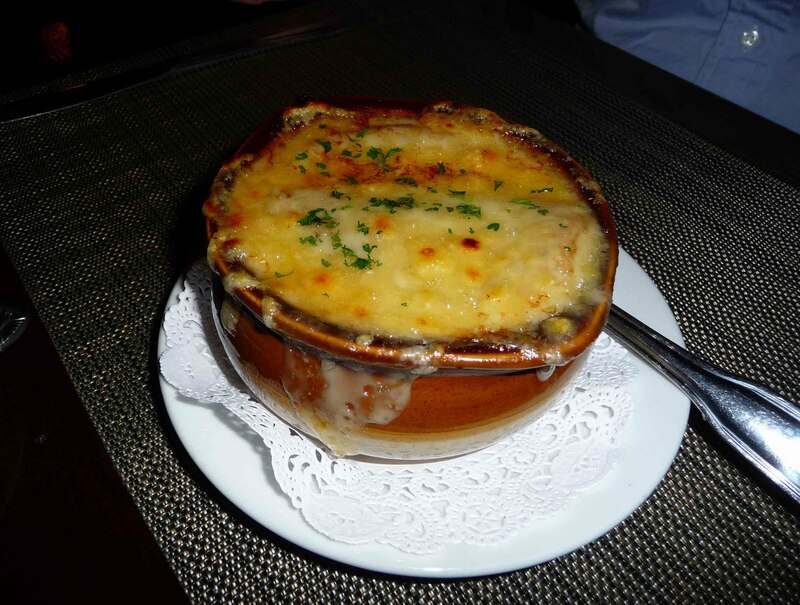 How Do You Eat French Onion Soup? How does one eat French Onion Soup (I mean the real stuff with bread soaking inside and a thick layer of ooey gooey stringy cheese on top) without looking like an ill-mannered heathen? Peggy Posts suggests using a knife to cut the cheese against the side of the bowl and then using the knife and spoon to get all the bits onto the spoon and into your mouth. Jaya: Soup! I love soup! Jaya: That seems…complicated. The knife thing. Jaya: Knives do not belong in soup. I like using the spoon to cut the cheese against the side. Victoria: Yep. It would be cool if there were special french onion soup spoons where they were kind of pointy. Jaya: Also some foods I think people need to accept will never be polite. Victoria: Haha yeah, I mean its sort of hearty peasanty food, so does it really belong somewhere where you can’t have some cheese trailing from your mouth to your spoon? Jaya: Exactly! Do not serve complicated foods and get mean when people are sloppy with them (looking at you, any host who serves corn on the cob). Victoria: Hahah, I will serve you French onion soup sometime and you can be as messy as you wish. Also, I was surprised that there was so much French onion soup available in Paris- I had it in Paris for Thanksgiving one year (I’m trying to tie this into Thanksgiving since it is coming up). Jaya: Ooooooh that sounds delicious. Victoria: Also etiquette related, French onion soup is one of those things that has special bowls- like can you make it without the proper bowl? With the handle thingy? I mean, I do, but I think it tastes better with the special bowl. Jaya: Oh yeah, at least with a stone crock like that. You can use ramekins too. Victoria: I just use my normal bowls. Victoria: I’m getting you French onion soup bowls for your wedding, I just decided. Jaya: I will gladly accept those. Very cute with the comments, but seems like you all avoded the Elephant in the soup….the crouton…the bread UNDER the cheeze that, the minute you press on it (say with a knife, fork, spoon or chop stick) acts like a plunger or piston and causes the soup to overflow the bowl. Press to fast or hard and it’s in your fave or lap. So, let’s get serious here and find a solution!!! Uou can do this…somebody…please.